Participants in a Sept. 18 dedication ceremony included Texas Governor Rick Perry, Texas A&M University System Chancellor John Sharp, Texas A&M Health Science Center CEO Brett Giroir, and officials from the U.S. Department of Health and Human Services, the State of Texas and biopharmaceutical company GSK. Construction of the 100,000-square-foot facility in Bryan, Texas, is on track for completion by the end of 2015, to be followed by start-up and validation phases that are expected to be complete by early 2017. When fully functional, the facility is expected to have the capacity to produce the bulk antigen needed for up to 50 million vaccine doses within four months of a declared influenza pandemic and availability of acceptable virus seeds. 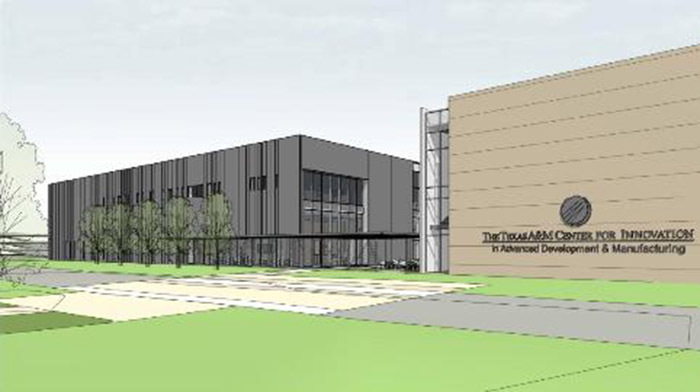 The Pandemic Influenza Vaccine Facility and the adjacent Viral-based Vaccine Facility, which recently entered final design development, will form the cornerstone of the Texas A&M Center for Innovation in Advanced Development and Manufacturing, one of three such national centers for innovation supported by the U.S. Department of Health and Human Services and the only one housed at an academic institution.